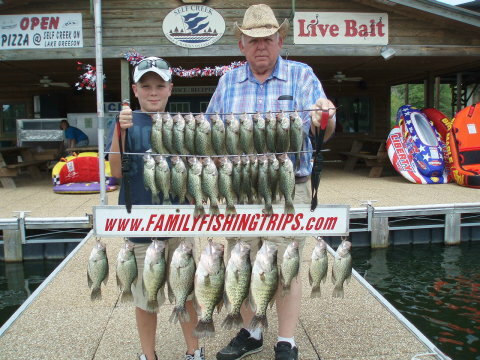 Live bait was the ticket today. 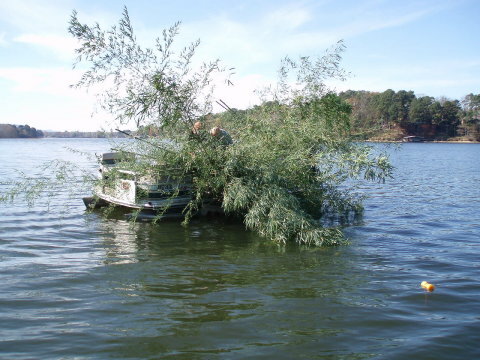 We caught most of these 12 feet deep, but some as deep as 18.
after we did a little habitat work with a new design on the bamboo crappie condo (pictured below). 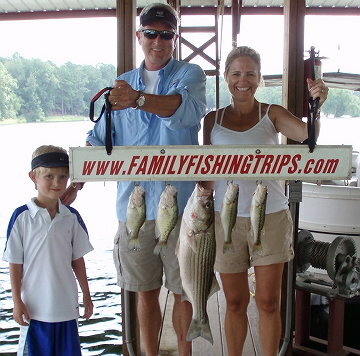 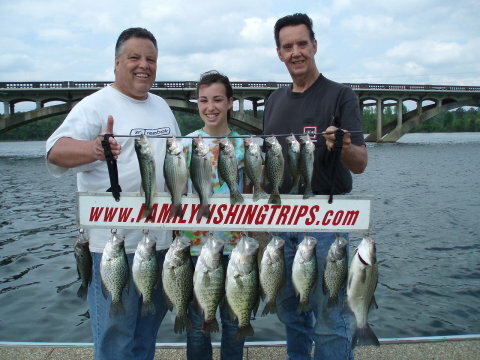 We quickly caught these crappie, bass and striper on Lake Hamilton. 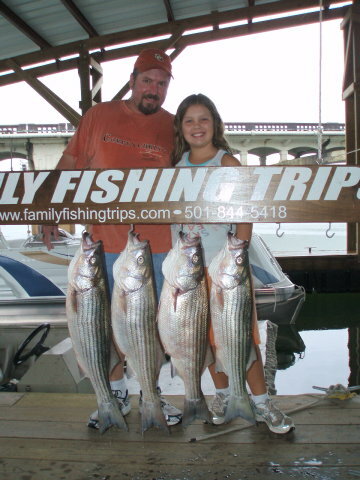 The striper was near 7-pounds and was landed using a BnM UltraLite pole with 6# Vicious line and a 1/16th oz. 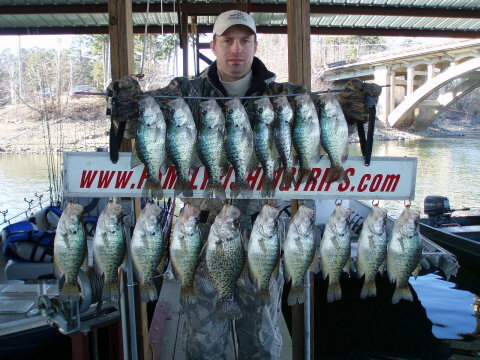 crappie jig. 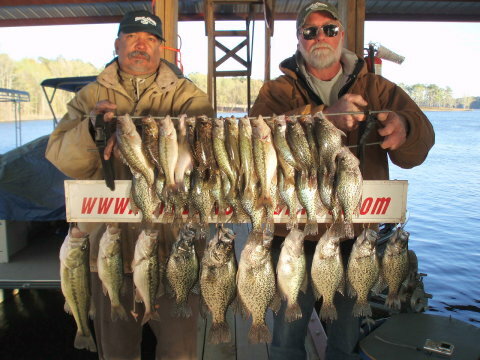 Lake Hamilton is near completion of its winter drawdown. 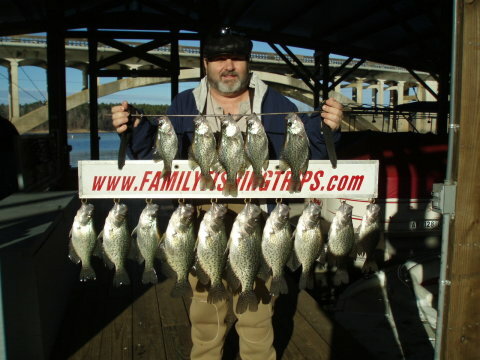 The crappie are still holding near 12' deep anywhere there is a steep drop off and deep water very near. 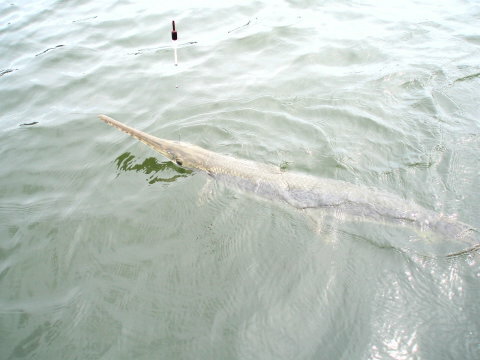 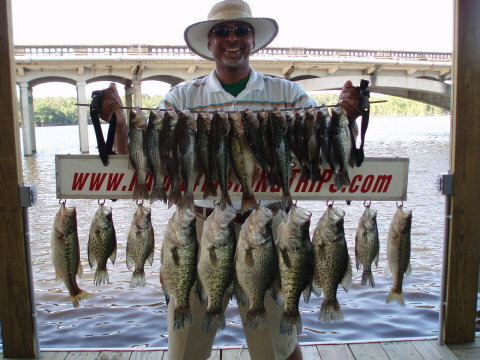 The fish are still holding 12-15' deep on ledges and channels where there is deep water close by. 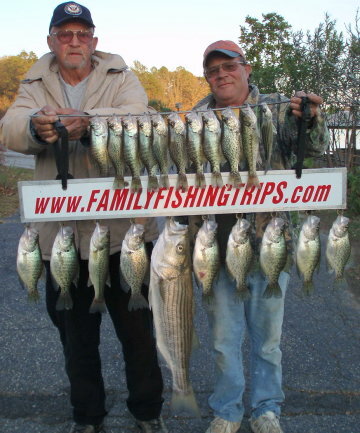 Silver hair jigs were fair and live, extra small shiners worked best. 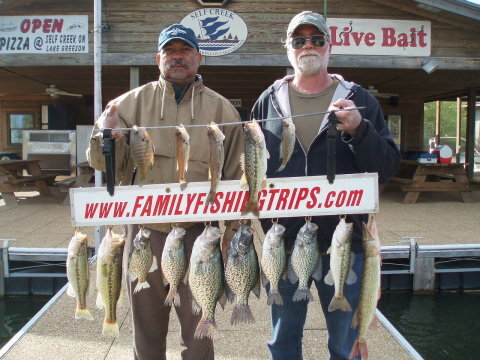 Lake Hamilton's winter drawdown is currently underway. 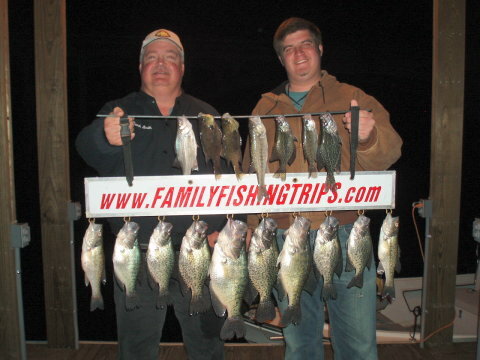 The crappie were biting lightly but still in the 12-15' range. 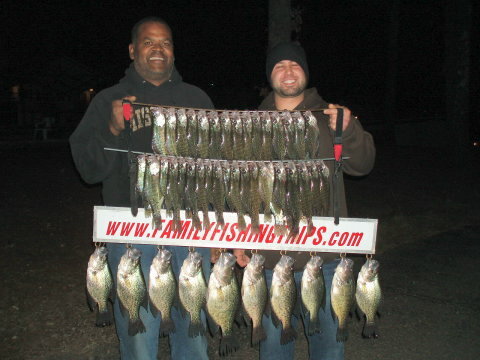 Caught on Lake Hamilton 12-13' deep in 18-24' of water. 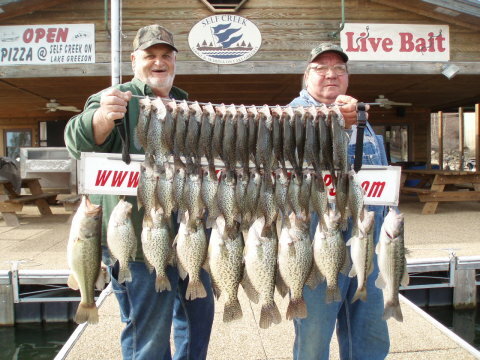 Lake Hamilton's winter drawdown was suppose to start yesterday. 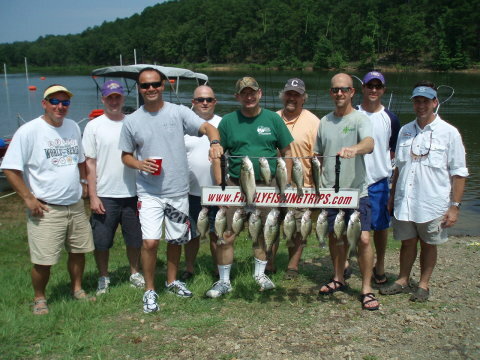 I will post information on flow and elevation rates as soon as I receive them. 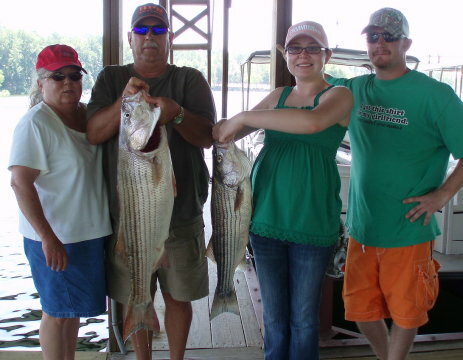 Caught on Lake Hamilton 12-15' deep in 18-24' of water. 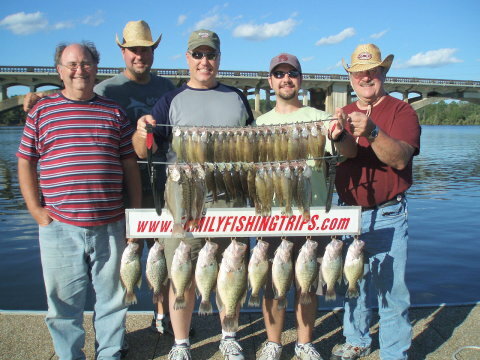 We all will receive a treat from this trip. 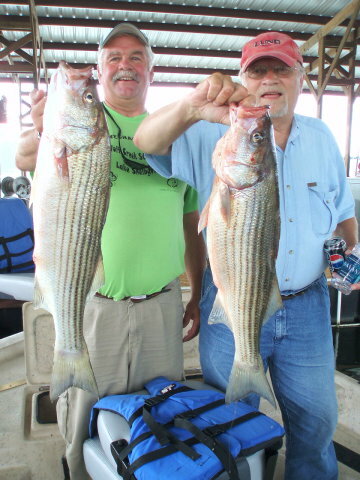 Doug is a fisheries biologist and has agreed to age the two biggest fish for us. 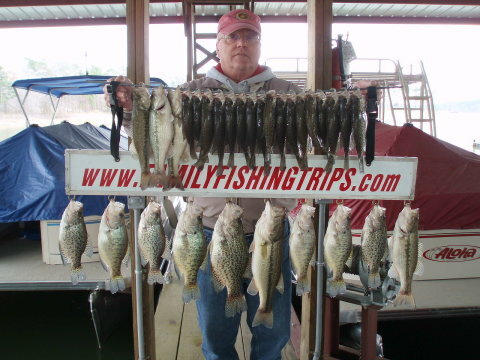 The fish are a bit scattered. 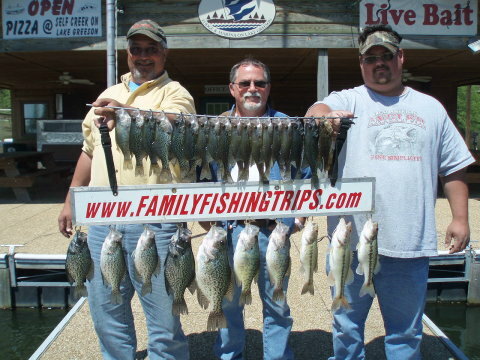 These were caught from 8-15 feet deep on live bait. 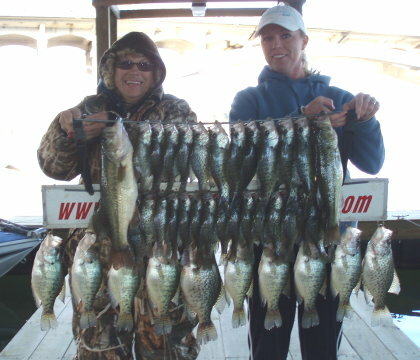 Lake Greeson has 65-degree surface temperature and is 547.51msl. 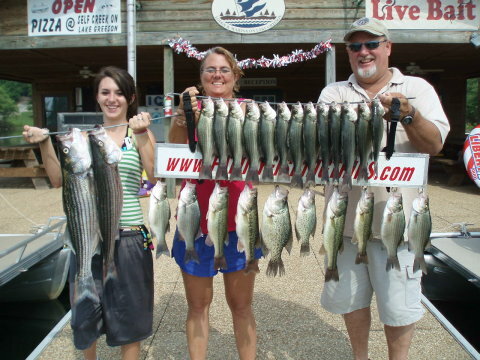 Caught fish from 12-20 feet deep using minnows. 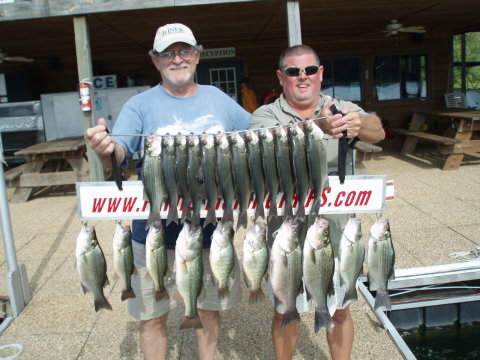 The lake level is at full pool and should begin to drop during the next week. 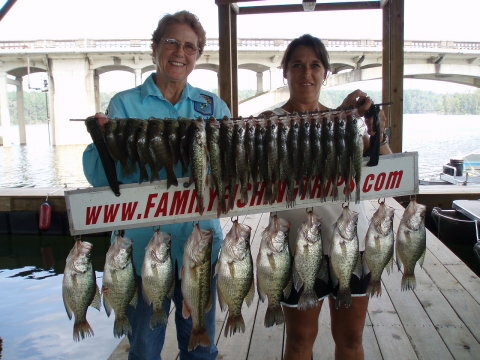 Crappie and bass are being caught 12-18' deep on bamboo condos in 24-34' of water. 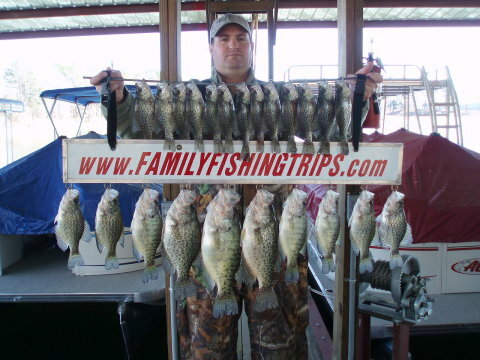 Rising water and cool temperatures, caught these 15-22' deep. 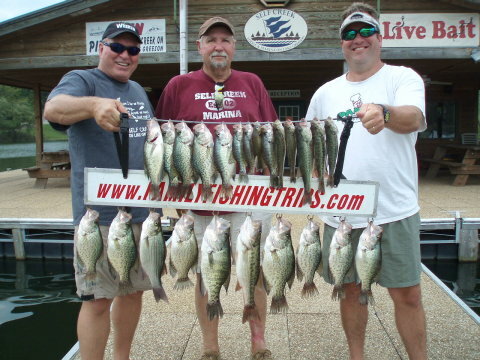 The lake has come up a small amount and the creek arms are starting to clear. 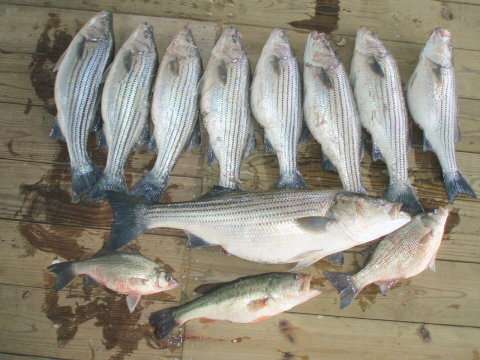 Caught these fish mostly in the 15' deep range in about 25' of water on minnows. 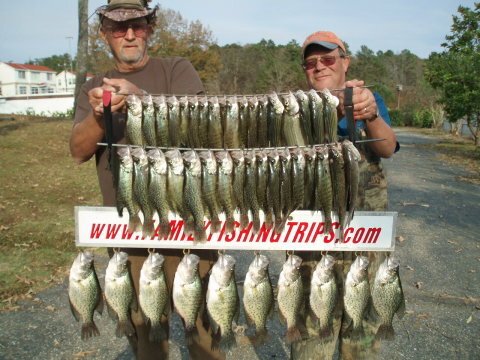 The crappie bit best in the cleaner water on minnows 15-foot deep. 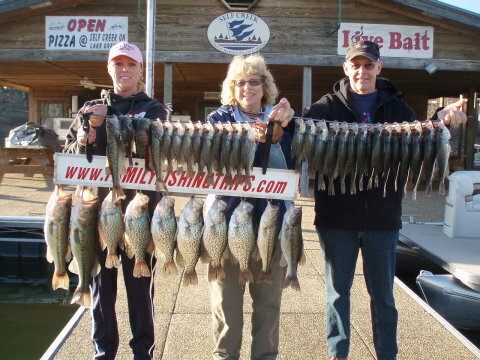 The bit well on both jigs and minnows 12-foot deep. 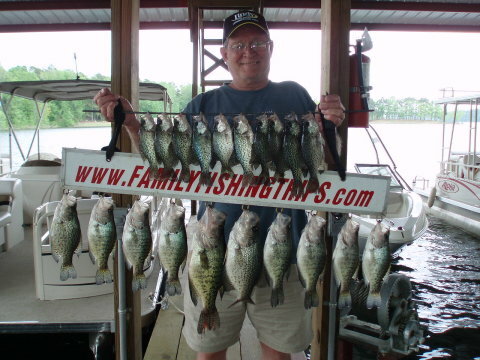 Caught 30-40 small crappie, all released to be caught another day. 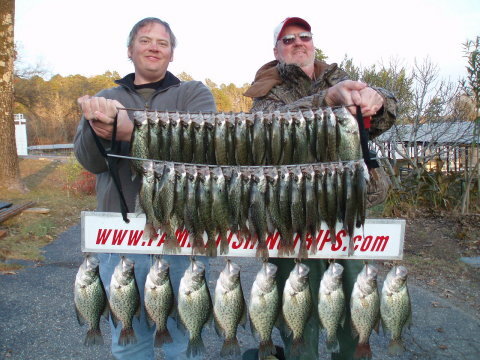 is approaching optimum for the Fall Feeding Frenzy. 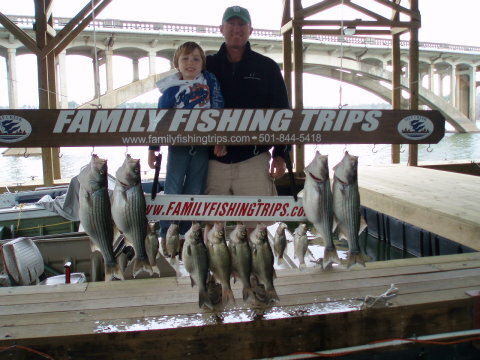 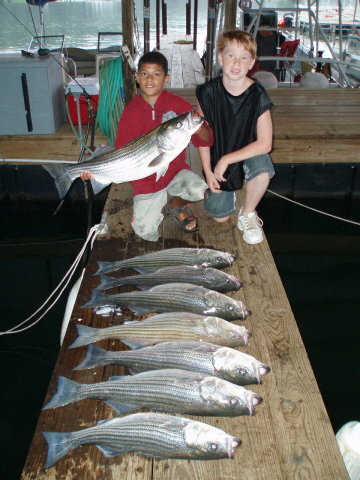 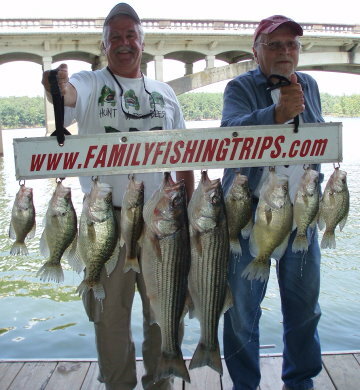 Striper/Crappie Combo Trip -- biggest striper went 15lbs.2ozs. 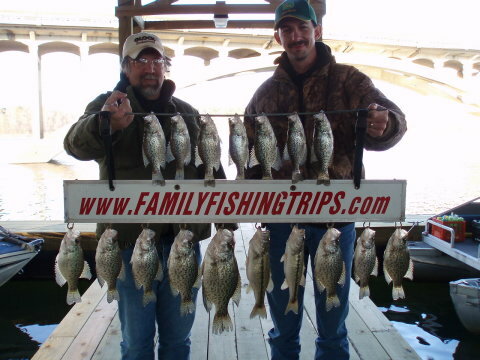 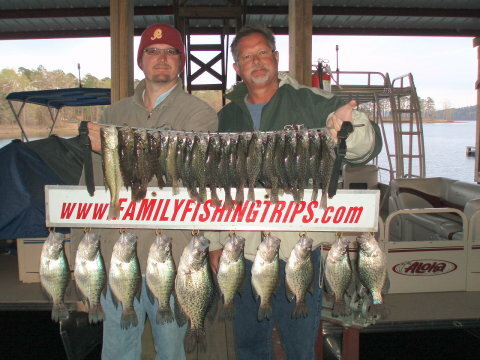 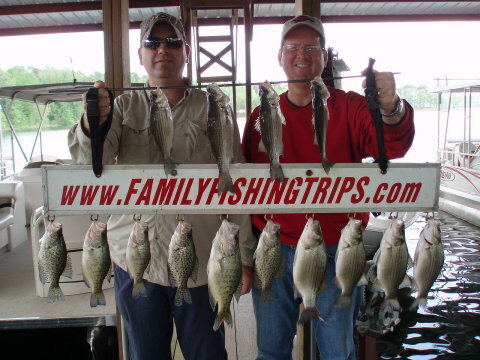 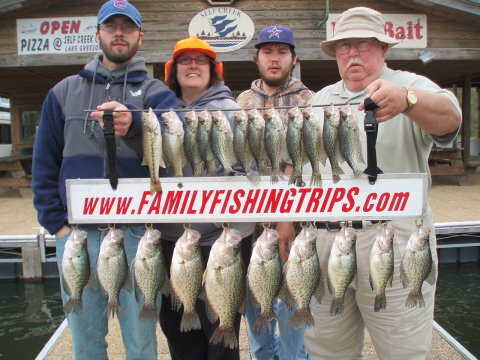 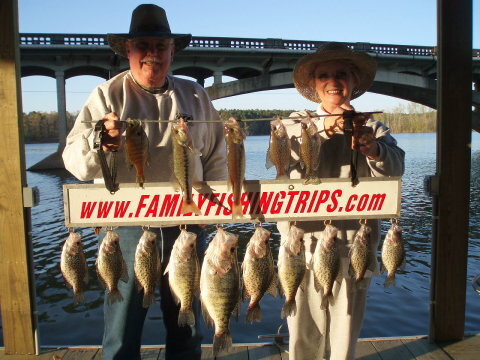 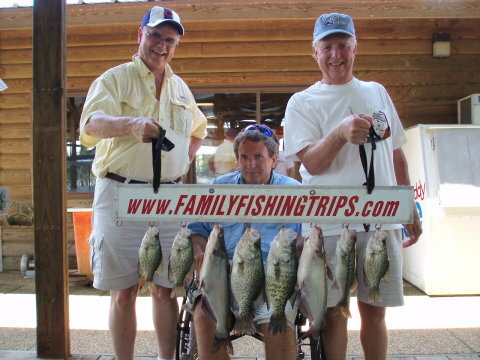 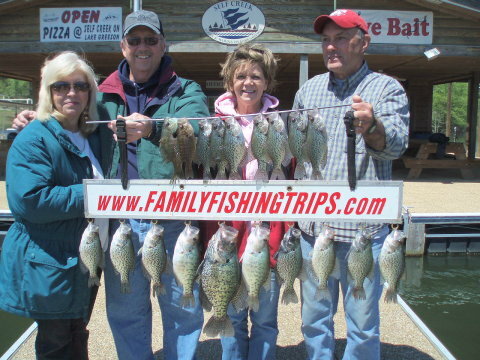 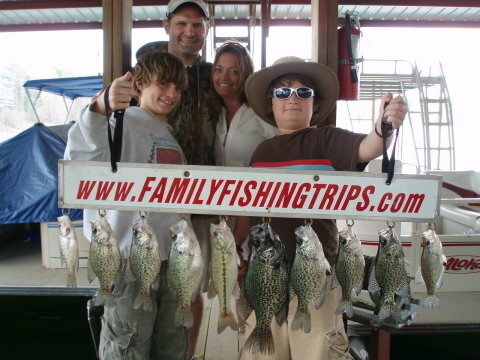 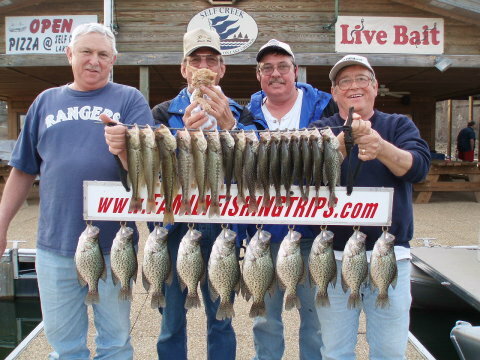 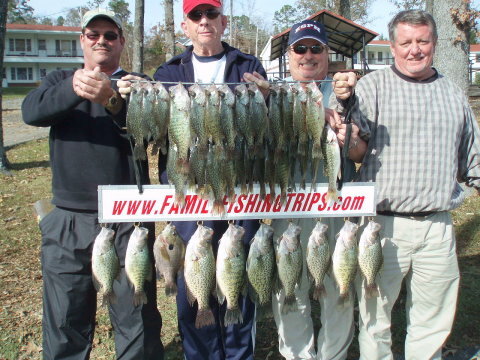 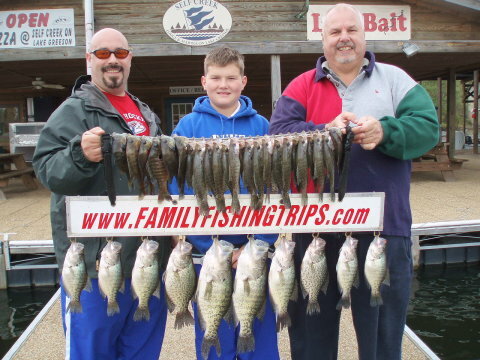 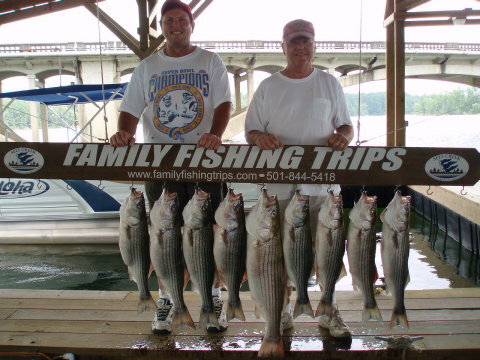 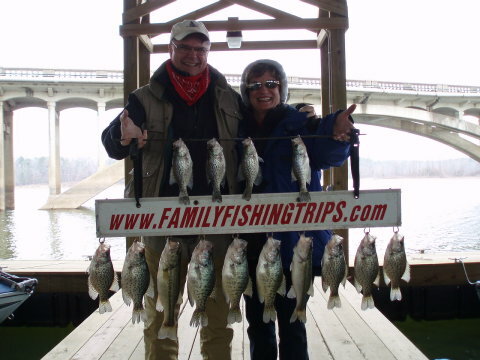 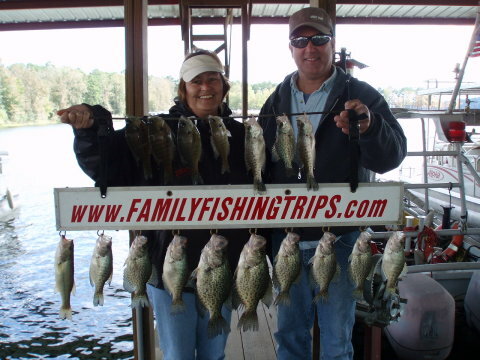 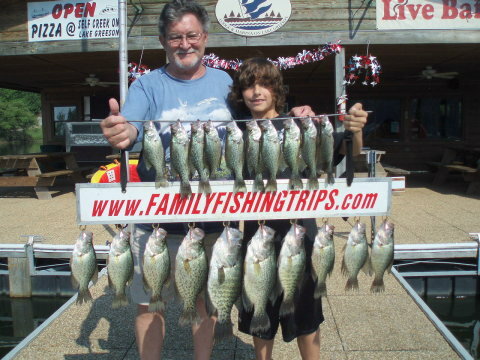 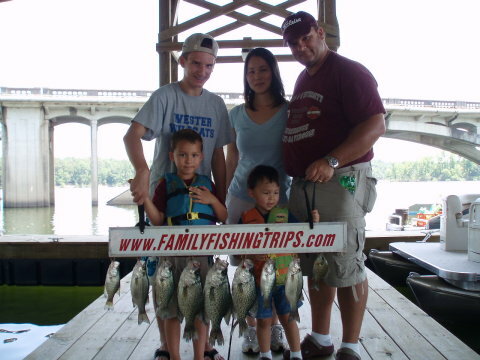 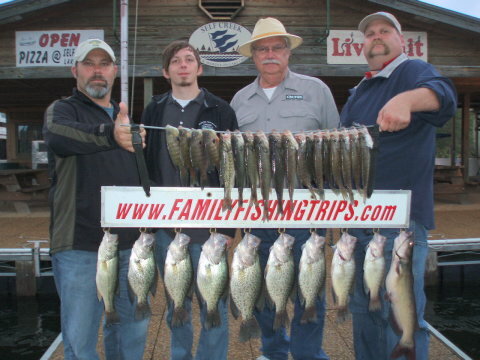 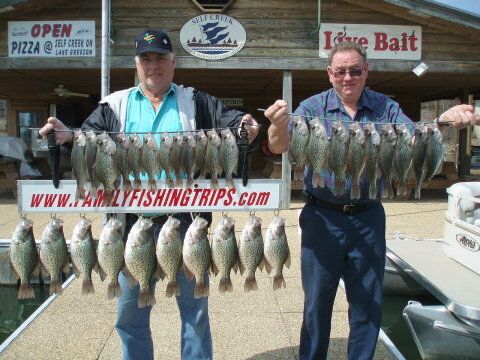 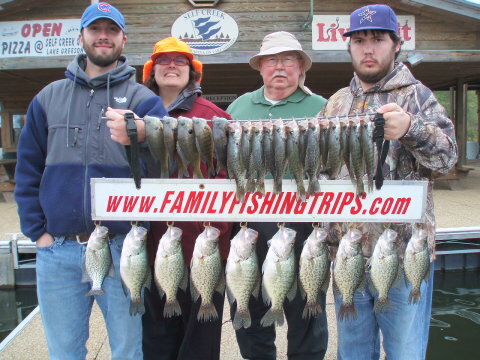 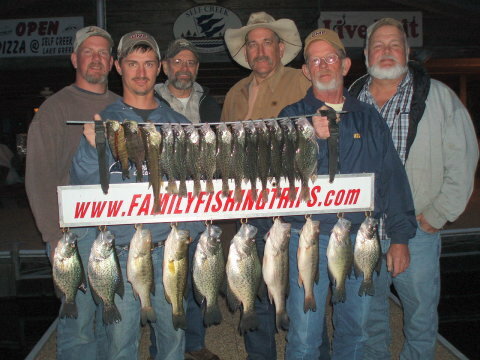 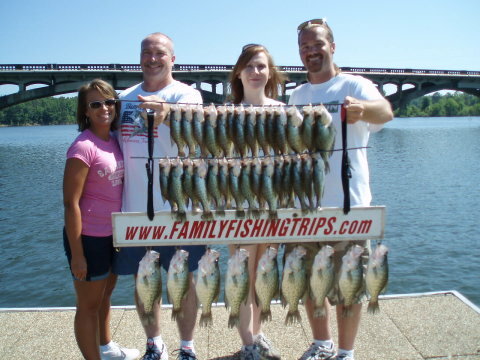 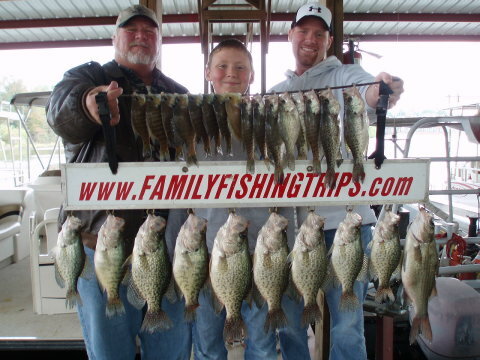 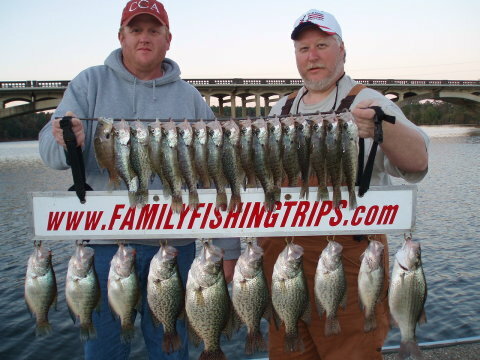 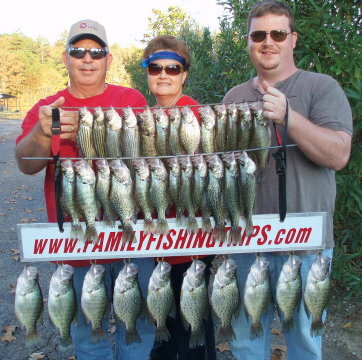 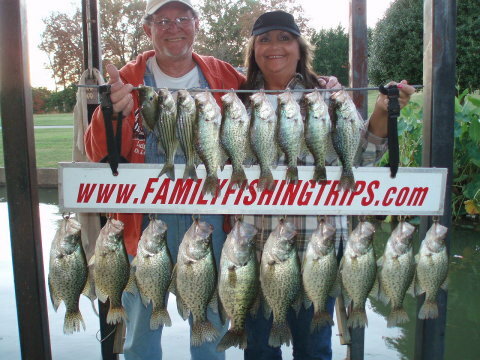 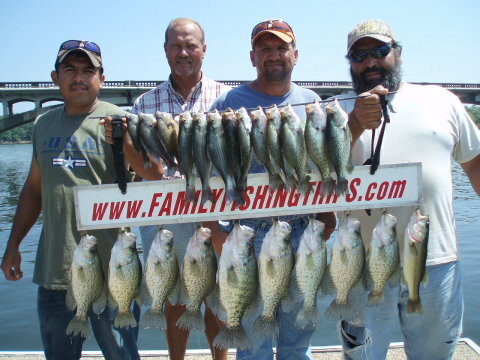 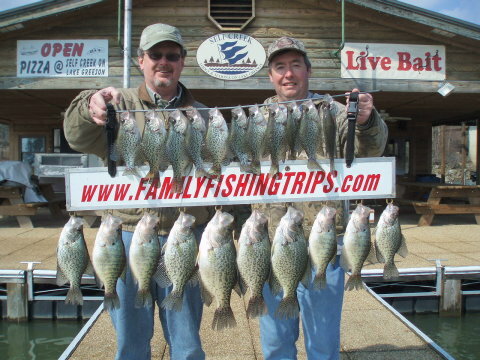 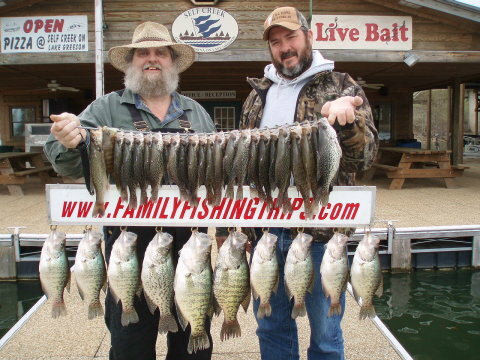 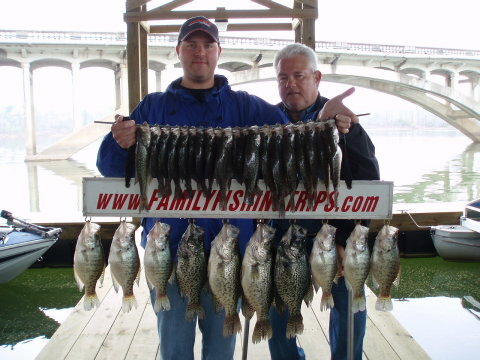 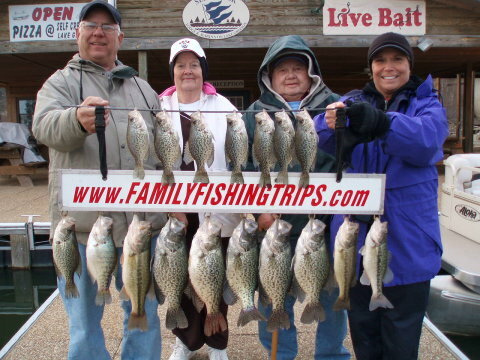 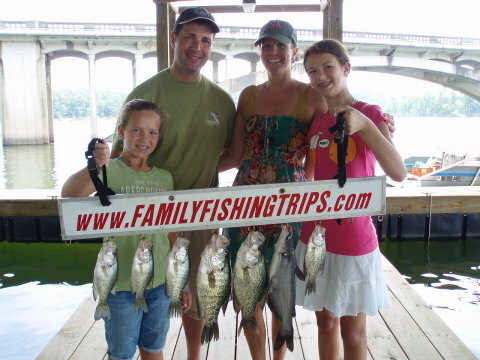 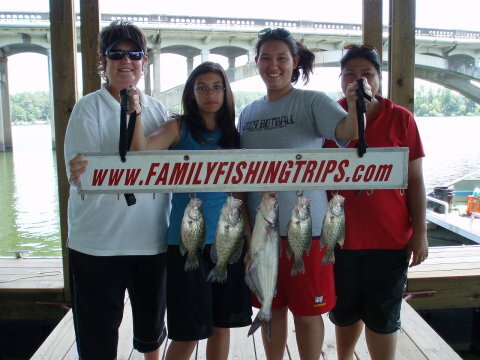 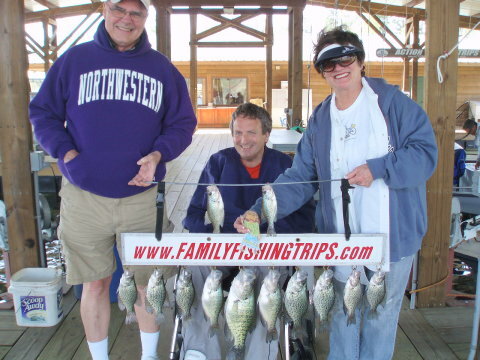 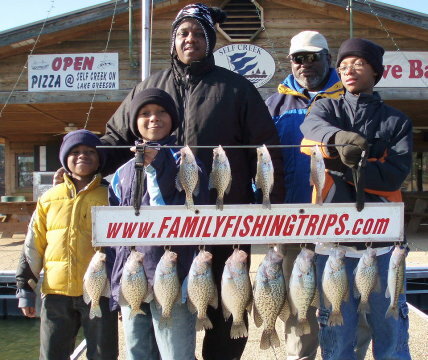 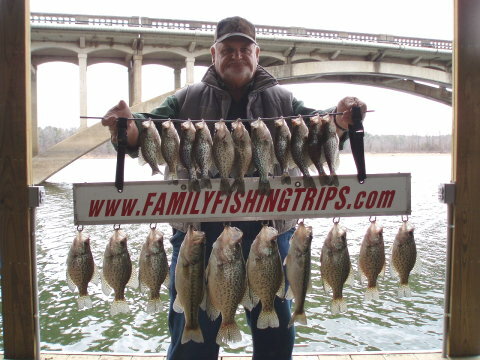 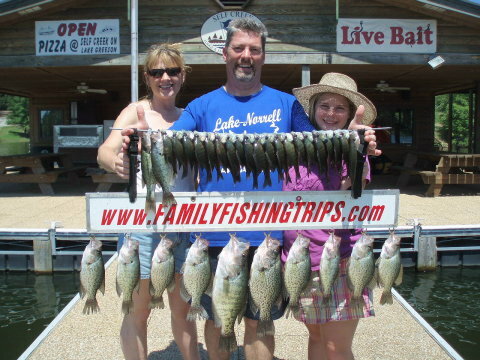 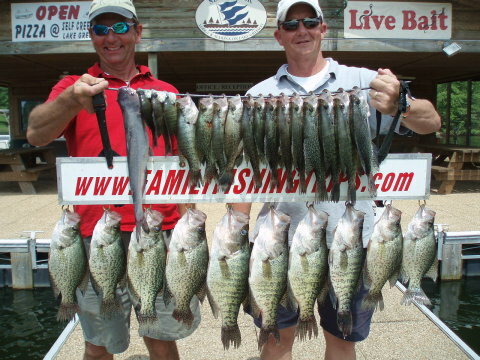 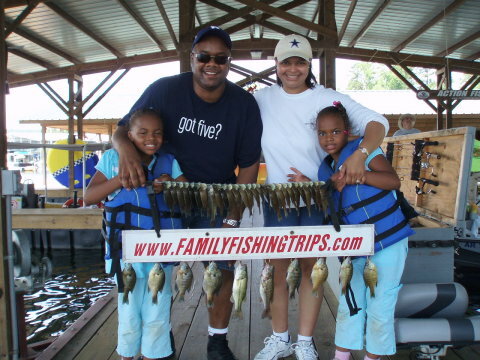 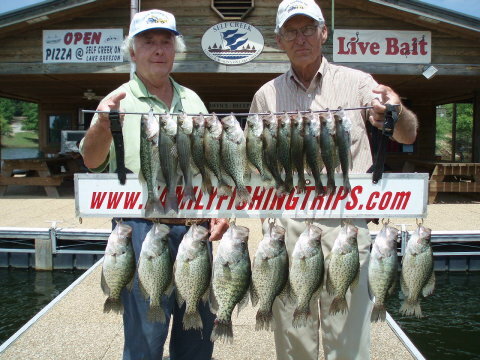 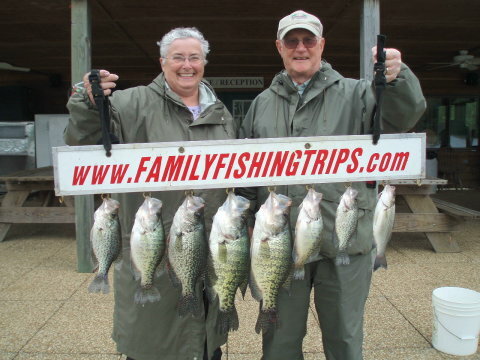 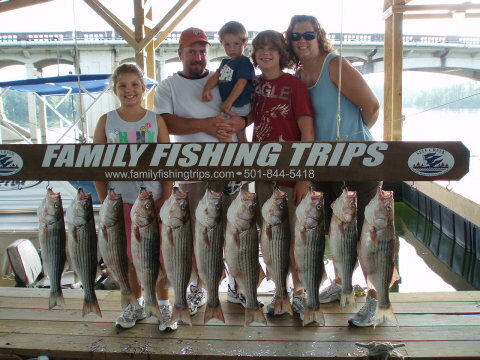 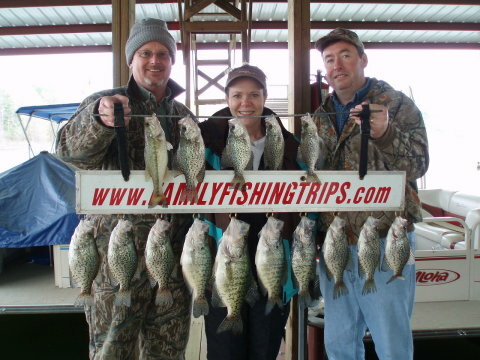 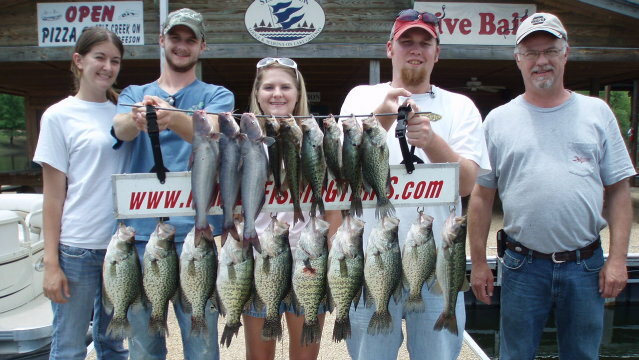 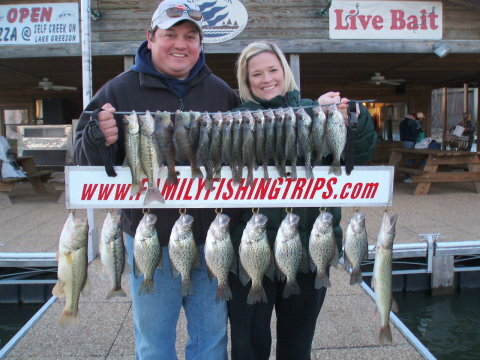 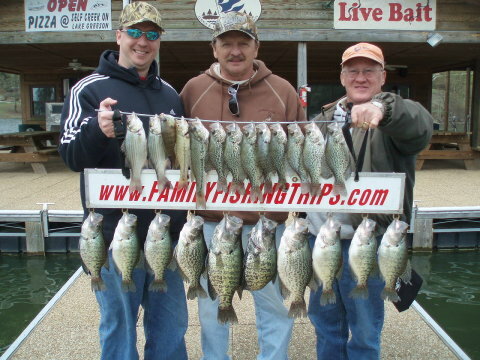 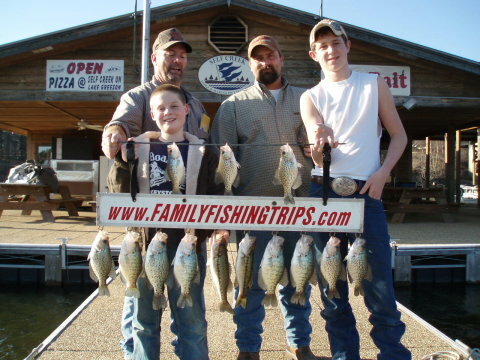 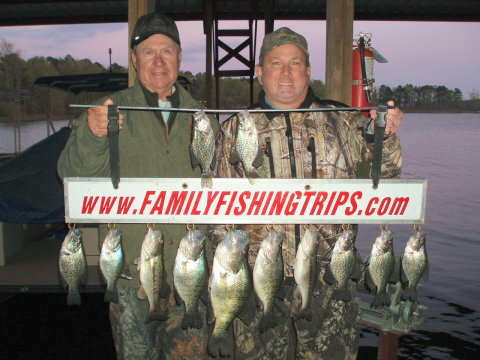 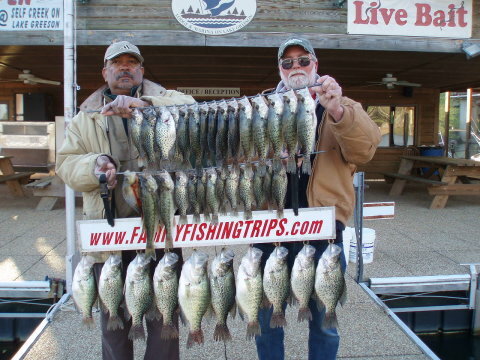 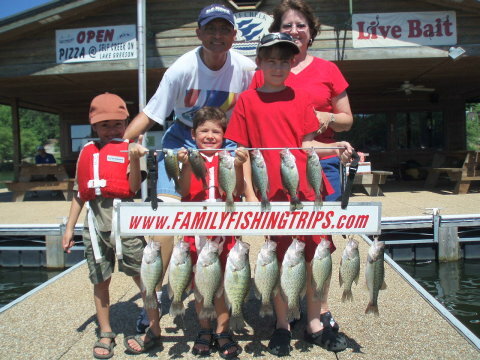 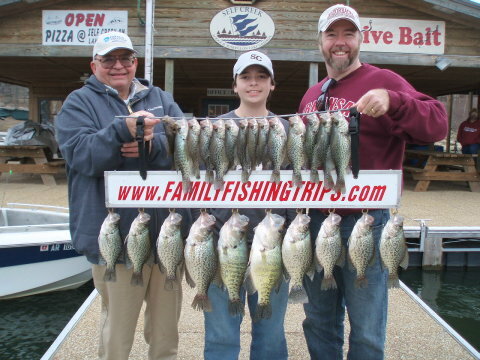 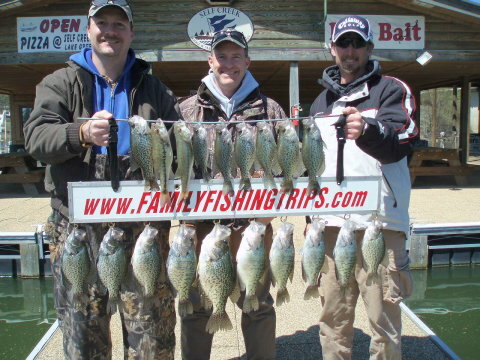 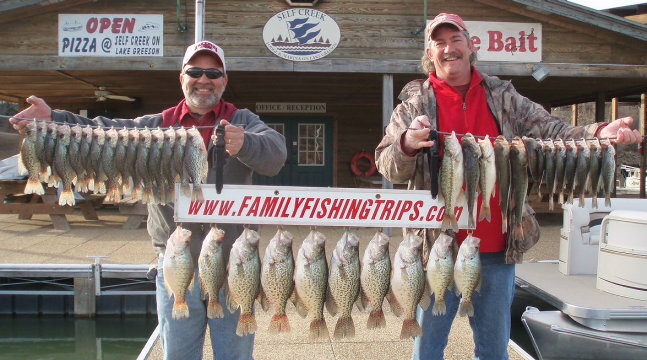 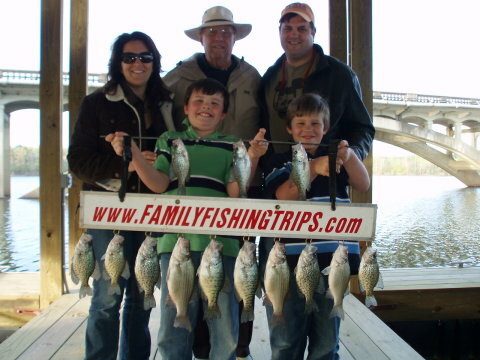 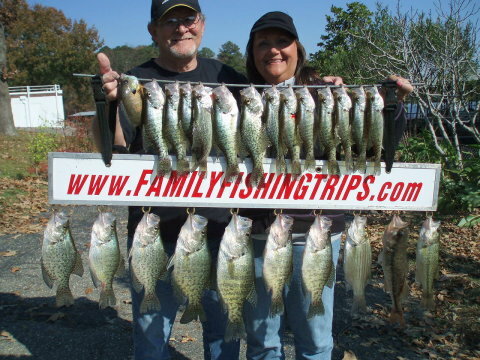 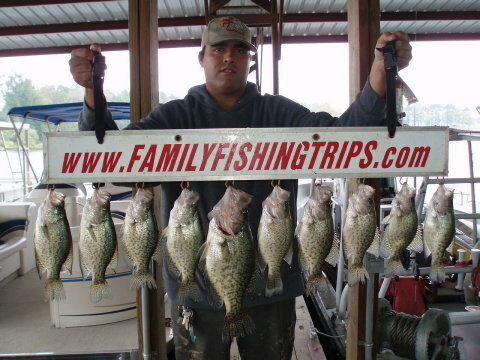 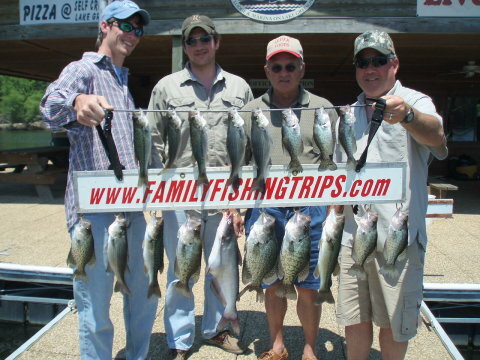 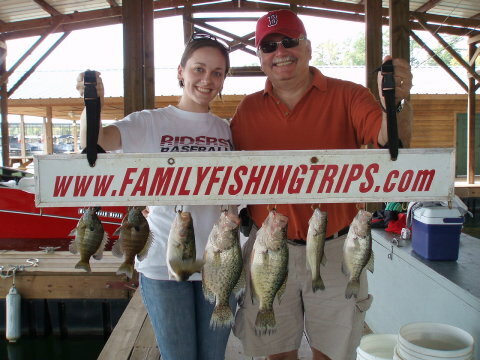 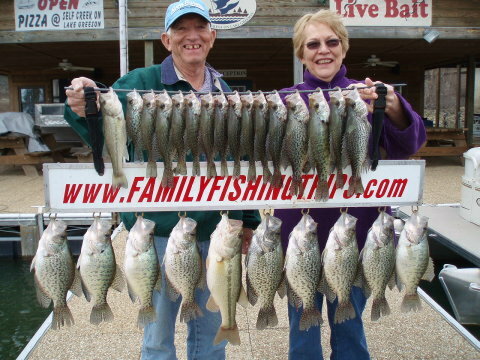 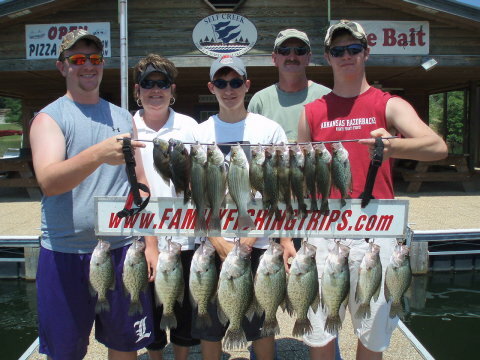 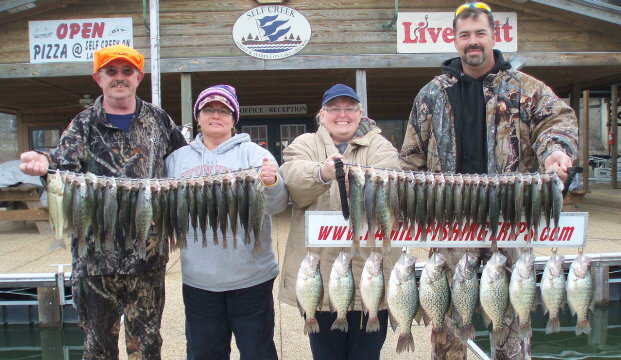 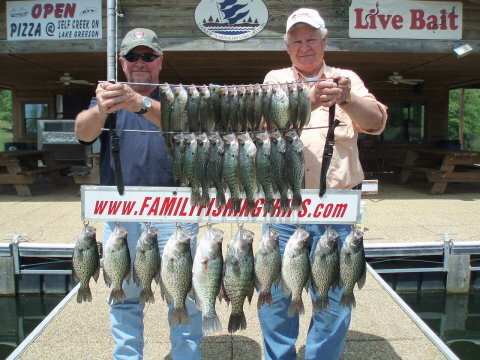 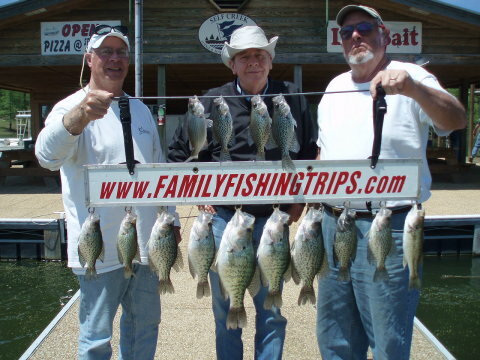 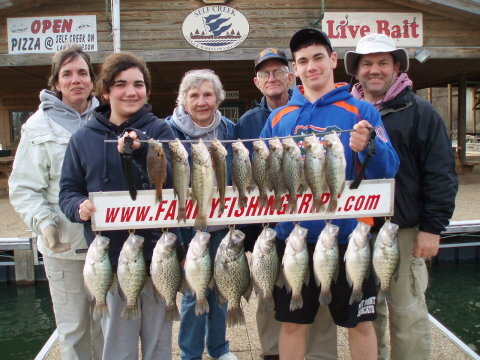 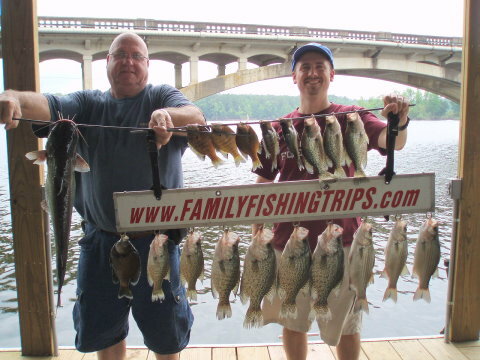 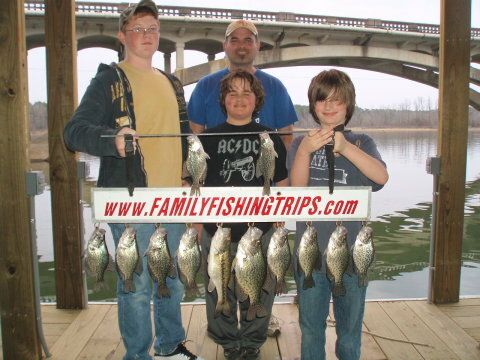 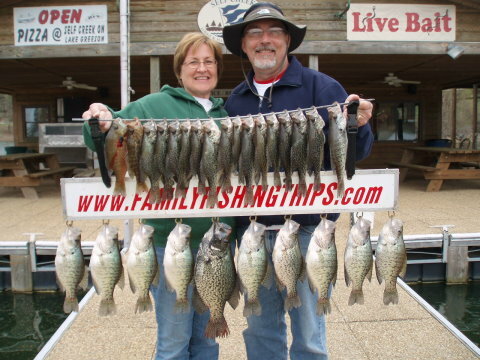 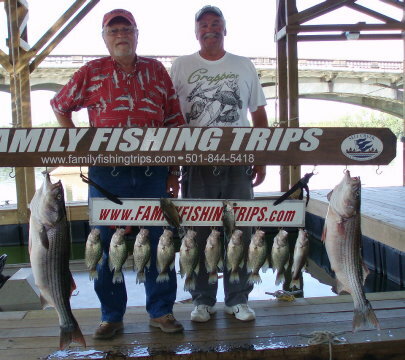 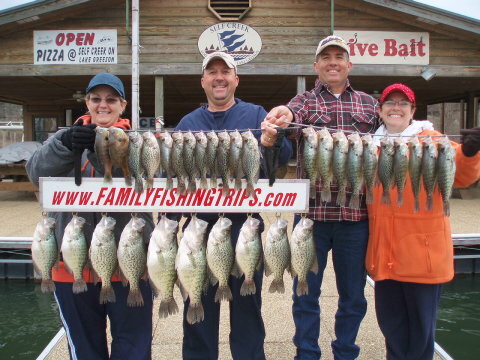 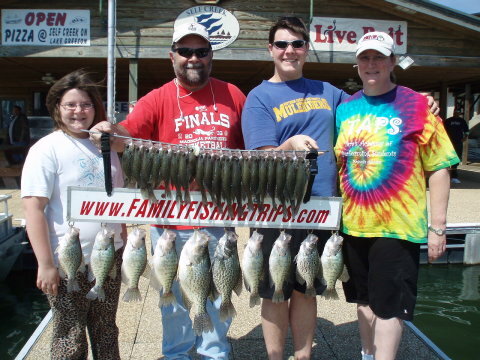 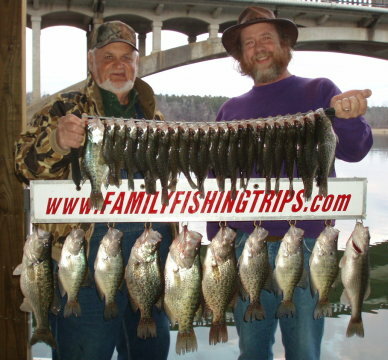 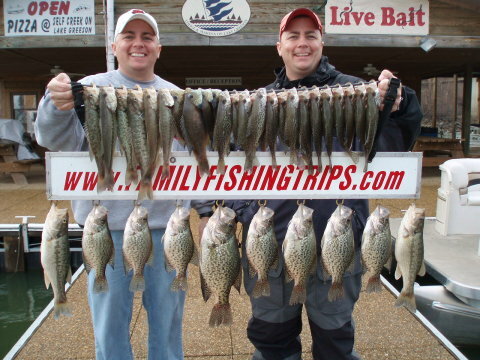 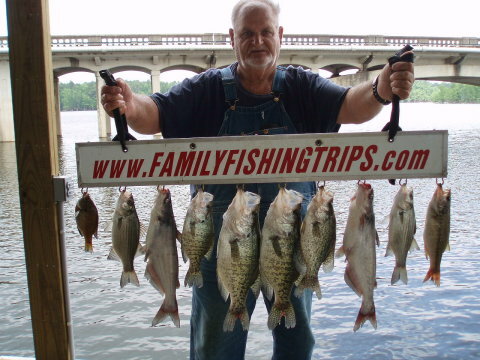 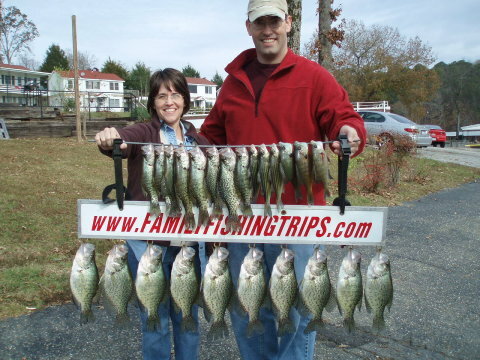 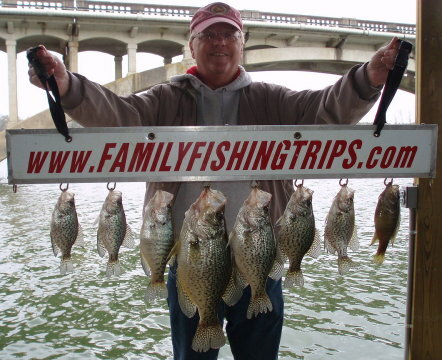 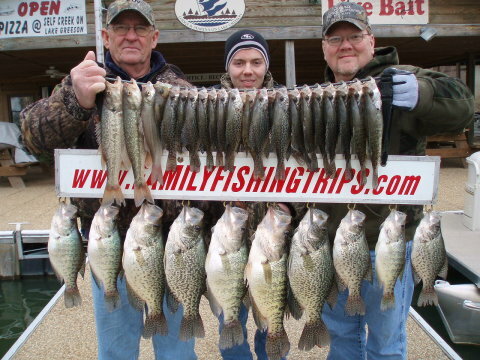 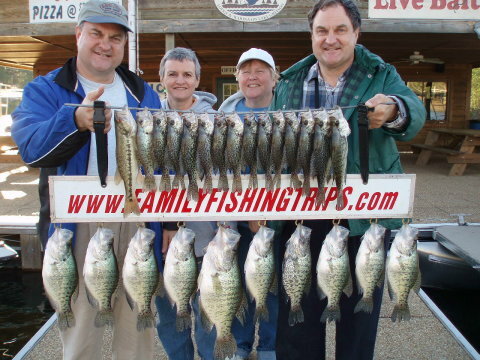 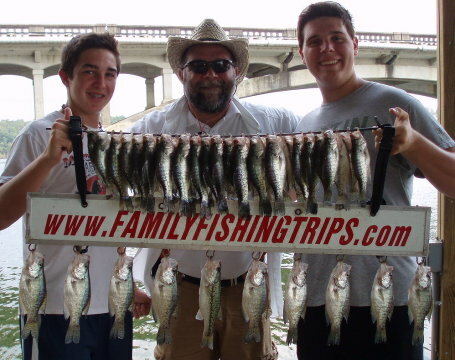 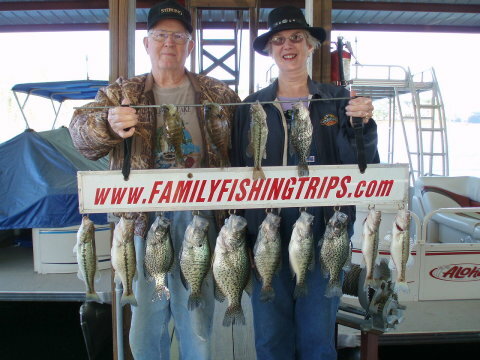 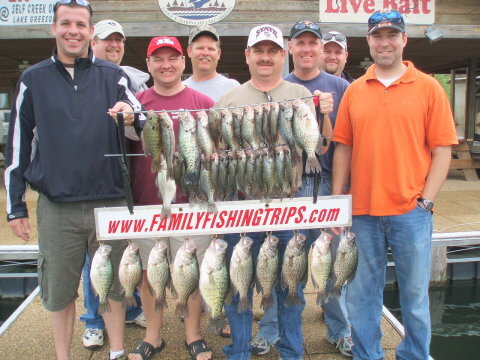 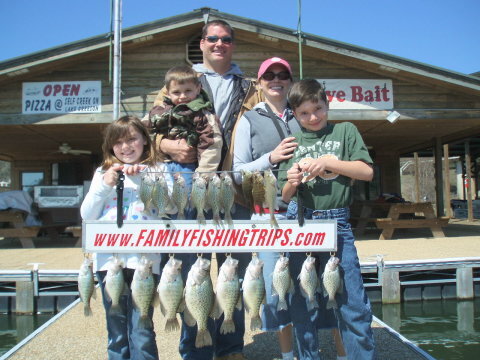 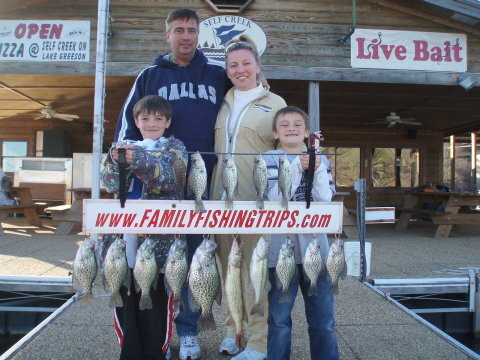 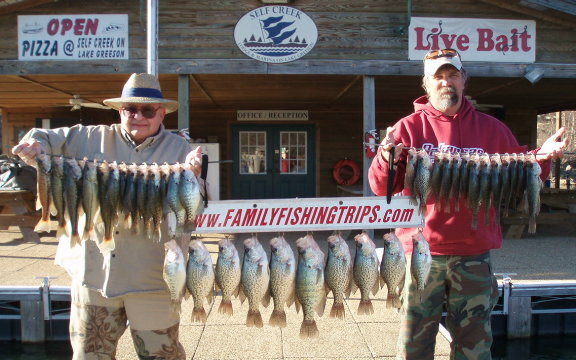 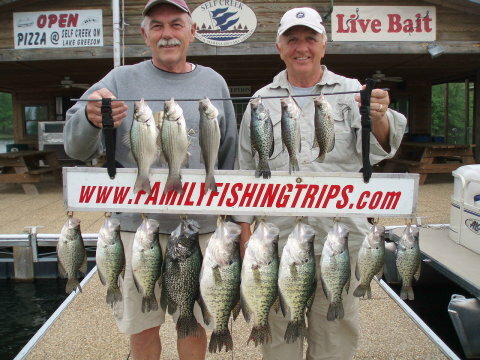 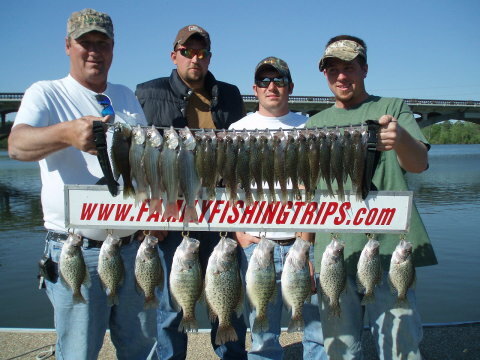 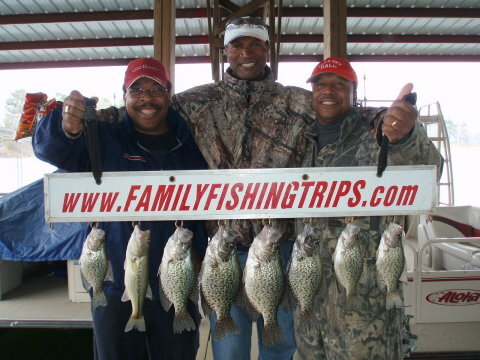 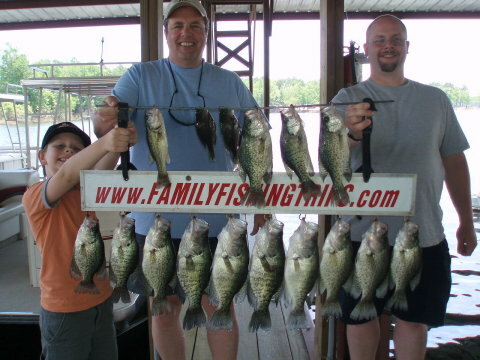 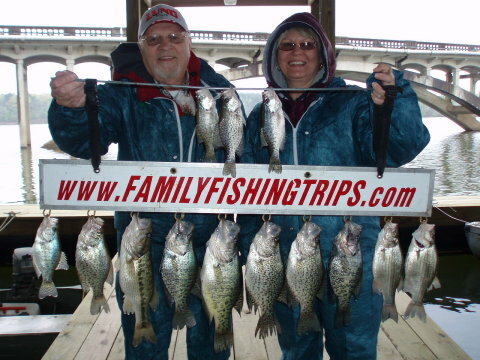 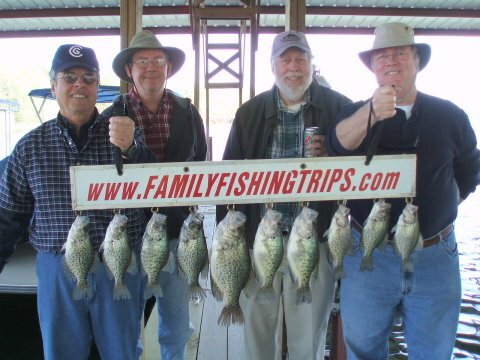 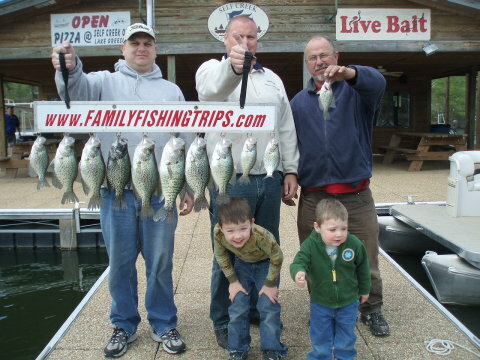 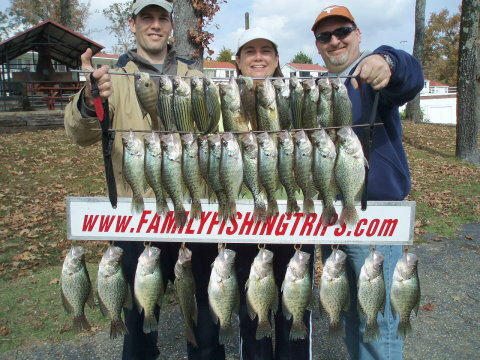 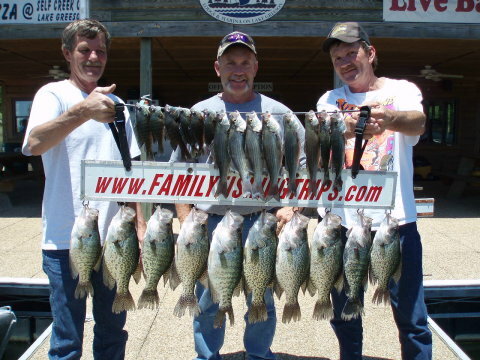 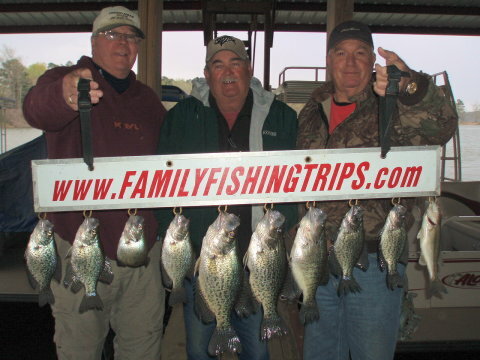 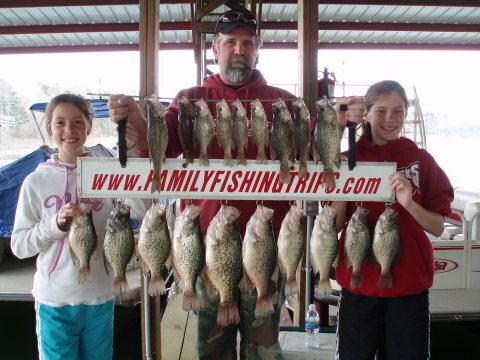 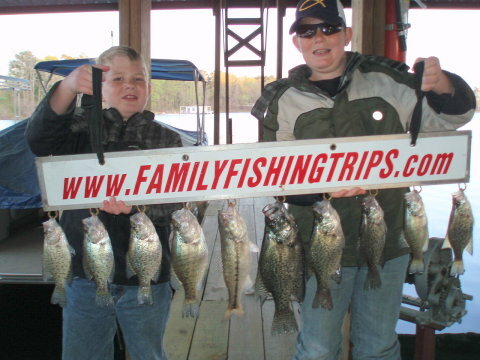 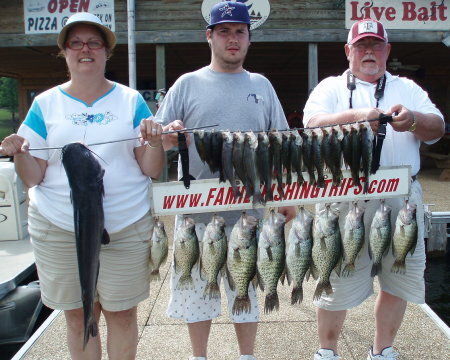 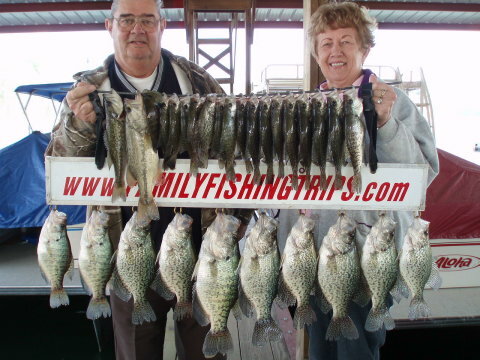 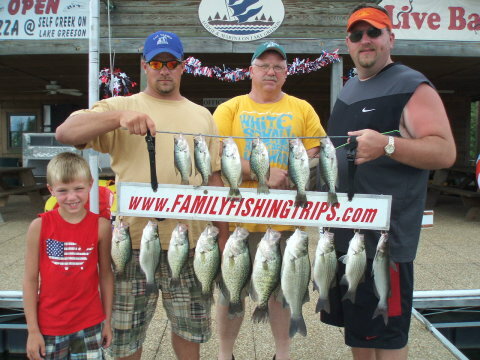 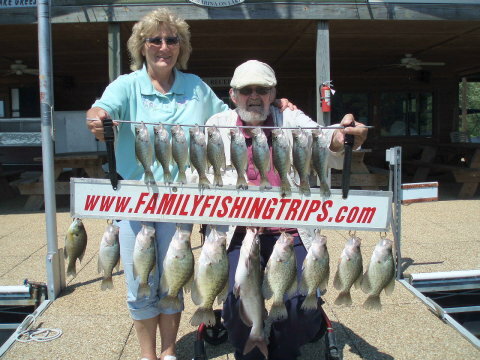 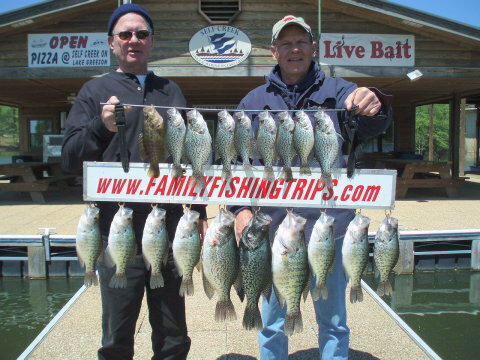 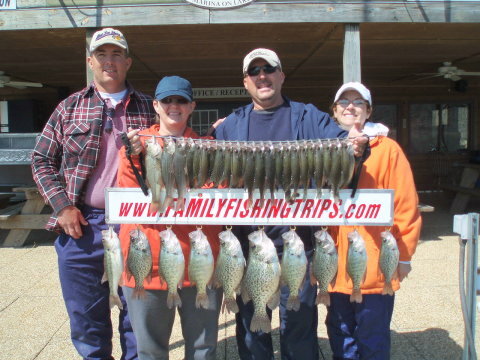 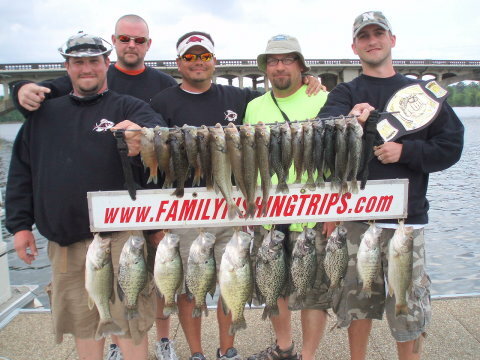 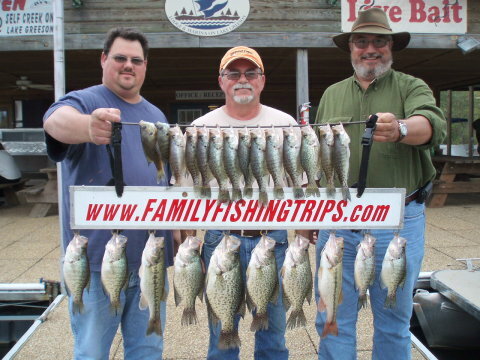 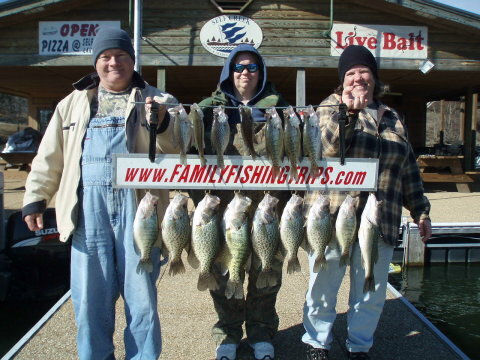 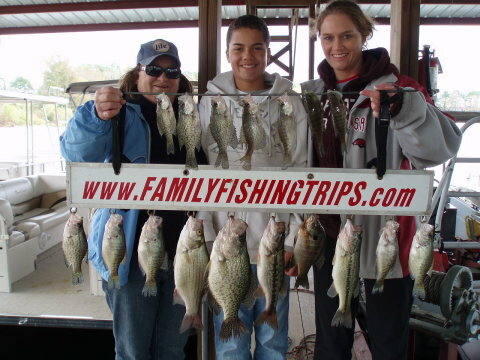 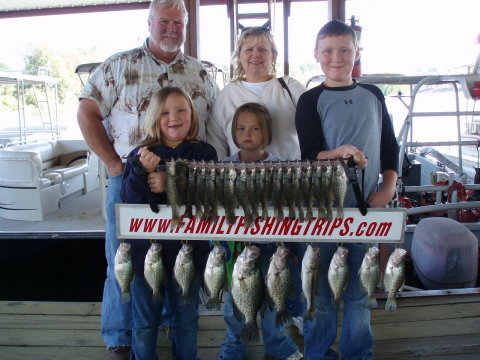 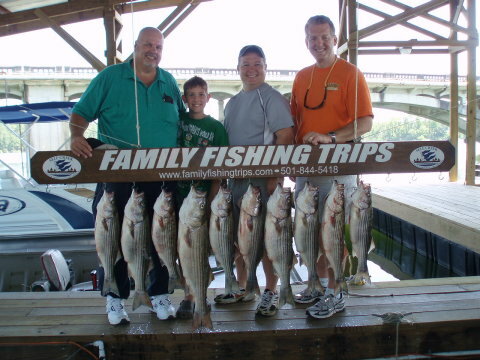 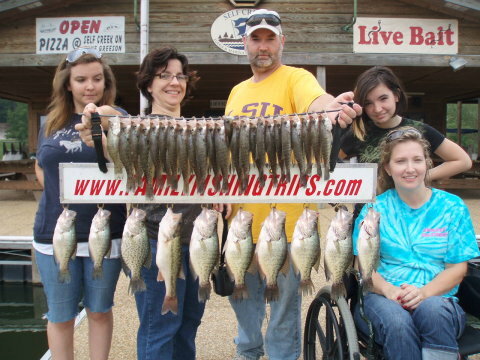 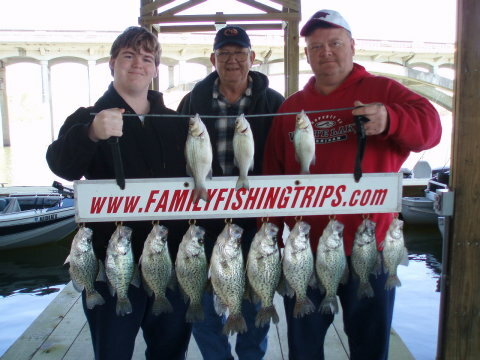 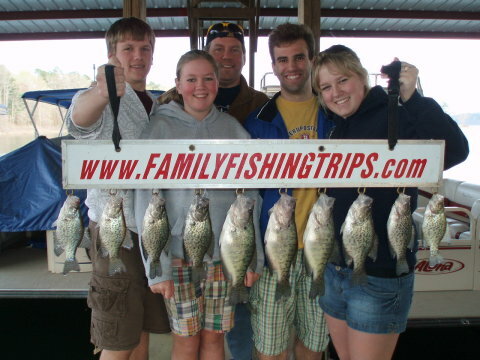 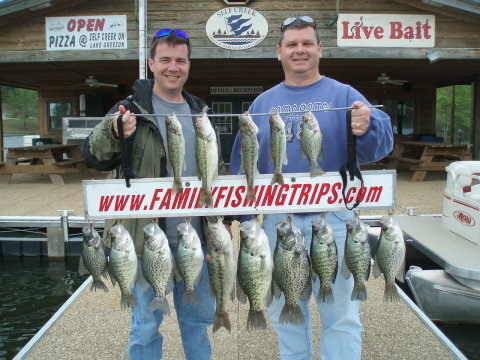 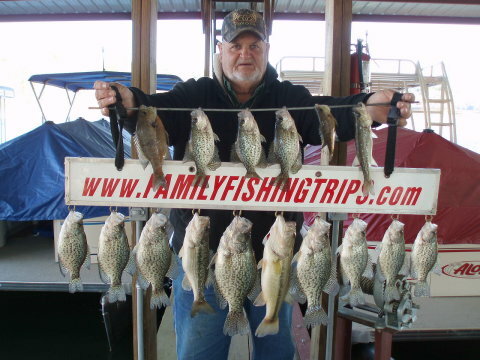 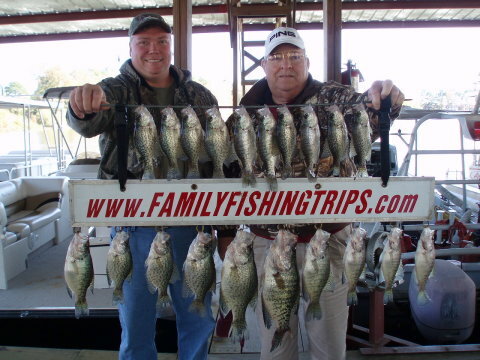 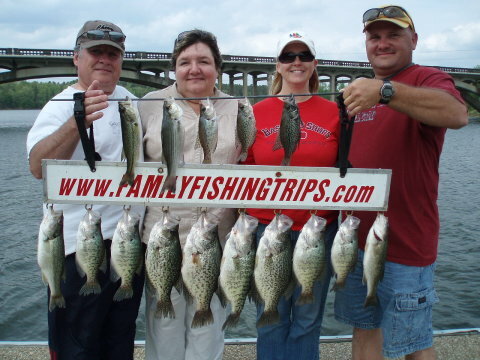 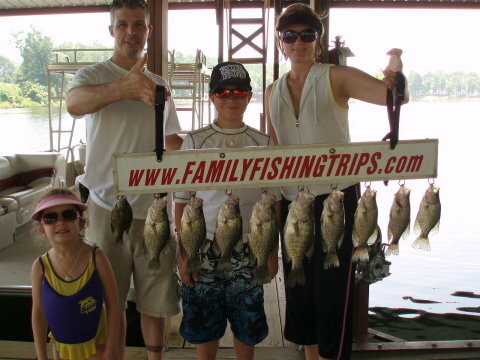 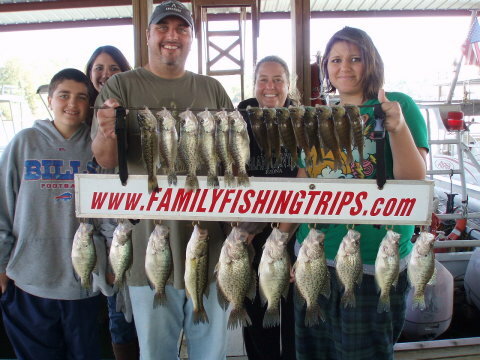 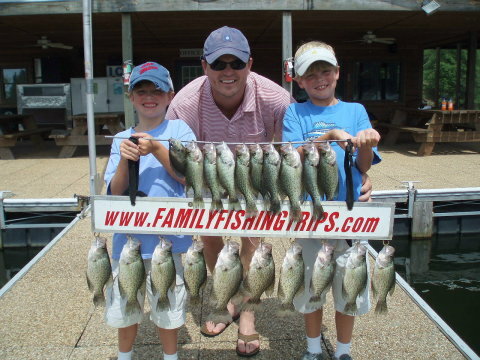 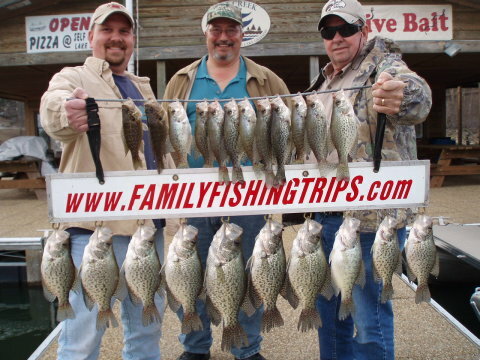 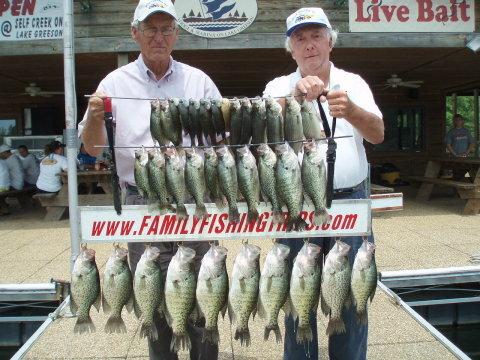 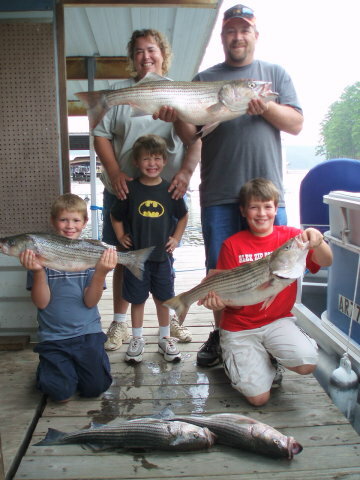 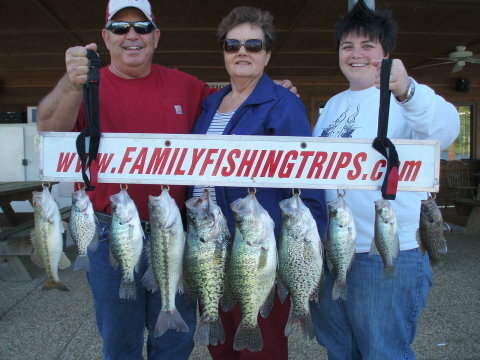 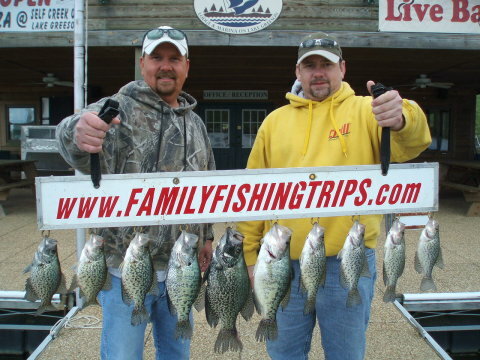 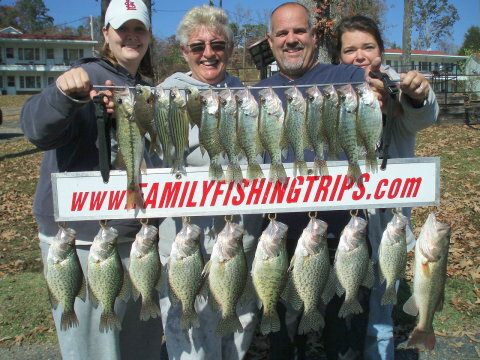 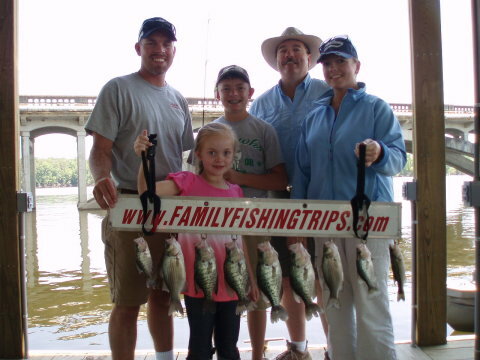 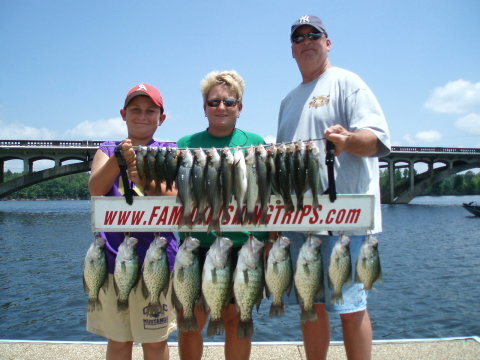 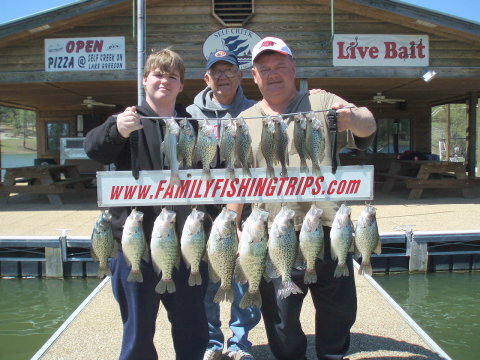 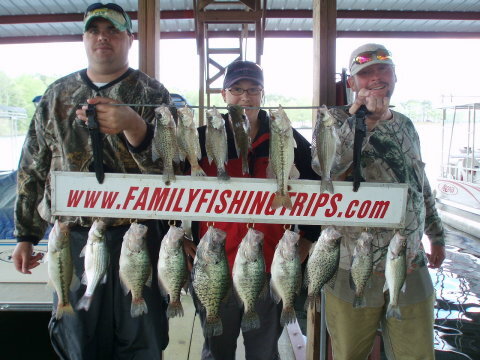 Crappie up to 17"-2lbs.4ozs., Black Bass, White Bass, Bream and Catfish 8lbs.5ozs. 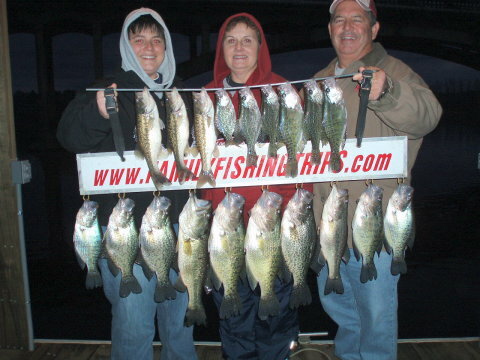 Black and White Crappie up to 16.75" - 2lbs.1oz. 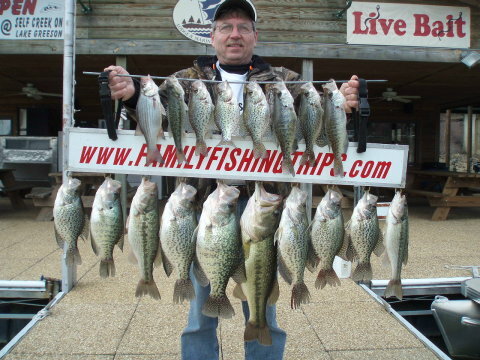 Black and White Crappie up to 15"-2lbs3ozs. 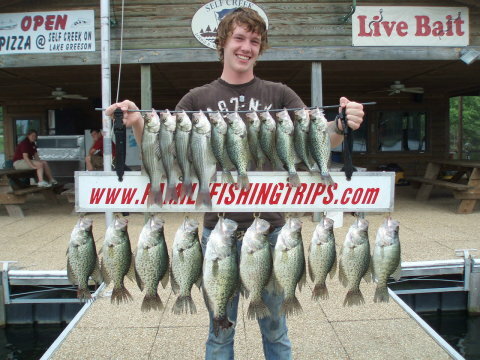 Black and White Crappie up to 16"-2lbs.2ozs. 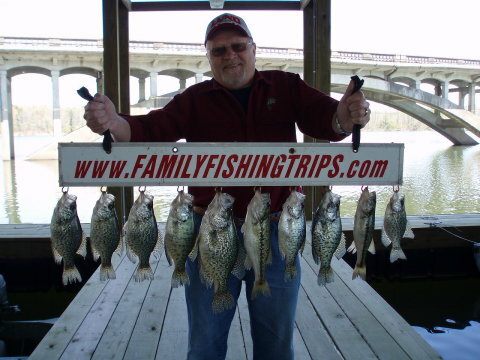 Black and White Crappie up to 16.5" - 2lbs.8ozs.